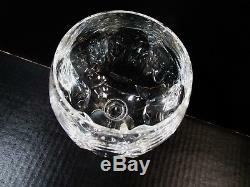 Vtg Ralph Lauren Crystal Edward Set 6 7.5 Balloon Wine Goblets. Set of 6 7.5 tall balloon wine goblets -- please note these are the classic wine goblets and not the large birdbath goblets. 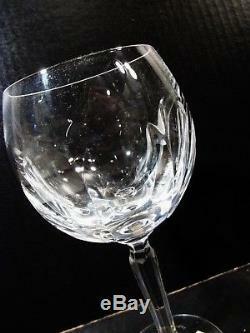 The pattern is Edward, with a cut panel decoration, fine crystal from Ralph Lauren. Fresh from a fine old Denver estate, and offered with No Reserve. 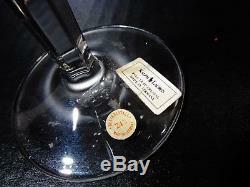 Condition is unused and excellent overall retaining original Ralph Lauren labels. No chips, cracks, repairs, or other damage. Your satisfaction is guaranteed , please contact me with any questions or concerns. I'm easy to deal with and I will make it right if need be. For updates on sales and special discounts. Powered by SixBit's eCommerce Solution. The item "Vtg Ralph Lauren Crystal Edward Set 6 7.5 Balloon Wine Goblets" is in sale since Tuesday, January 30, 2018. 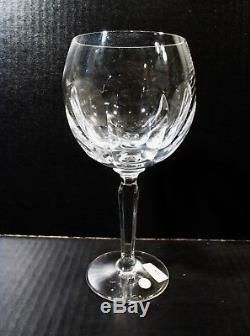 This item is in the category "Pottery & Glass\Glass\Glassware\Contemporary Glass\Other Contemporary Glass". The seller is "denverdish" and is located in Denver, Colorado.